The Ayse Birsel Collection for FilzFelt is a series of ready-made goods that complement FilzFelt’s existing product line. In deconstructing FilzFelt’s existing design DNA which she describes as ‘purposeful, minimalist, symmetrical, natural, graphic and scalable,’ Ayse has fused her signature aesthetic with traditional influences from her homeland and contemporary design. 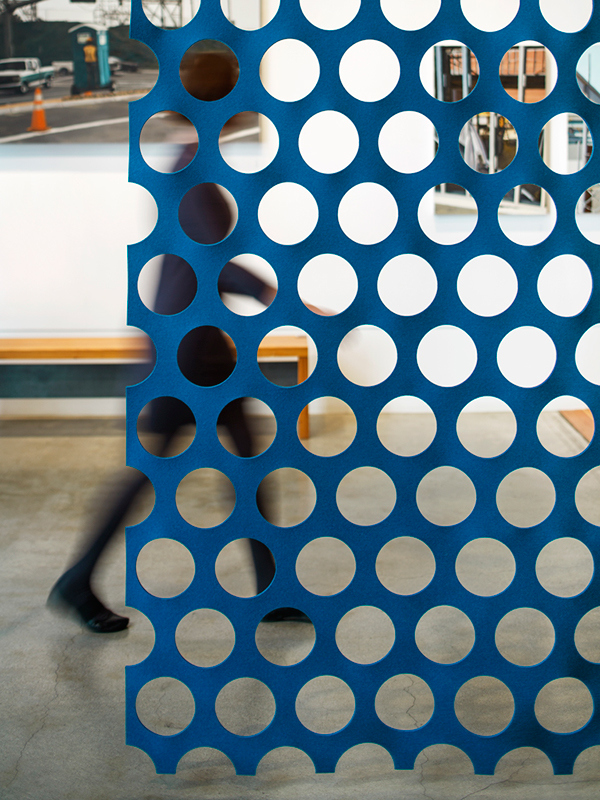 Inspired by the minimal fabrication techniques possible with this non-woven textile, Ayse has developed playful designs derived from circles and rectangles. The simple repetition and scaling of these shapes forms intricate patterning and is rendered through the actual form of each product. The Polka Series showcases the simplicity of repetition while the Fringe and Doily Series experiment with scale. Both recall traditional objects and evoke an irreverent humor while staying true to the modern aesthetic. With user-focused design being a tenet of Ayse’s process, the collection concentrates on meeting an increasing need for adaptable, multi-functional spaces within workplaces and homes while introducing bursts of color and pattern. The interchangeable and complementary products—floor coverings, drapery, hanging panels, and tabletop accessories—add flexibility while softening spaces physically and acoustically. 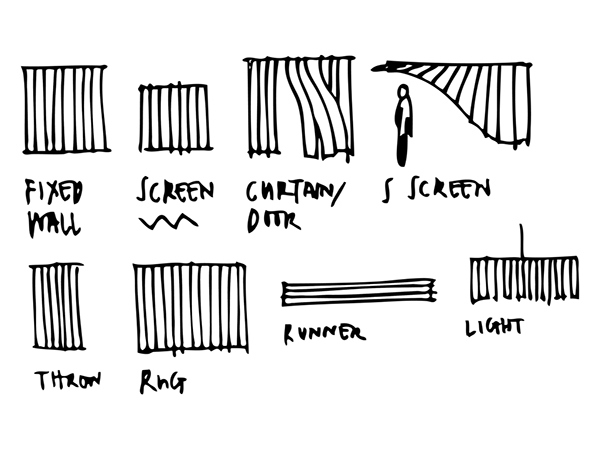 And the bold patterning translates across multiple product categories for a range of mix and match options. 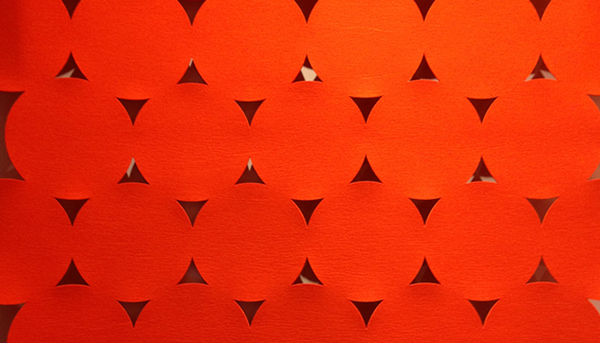 But most importantly, the Ayse Birsel Collection for FilzFelt is designed to be loved. 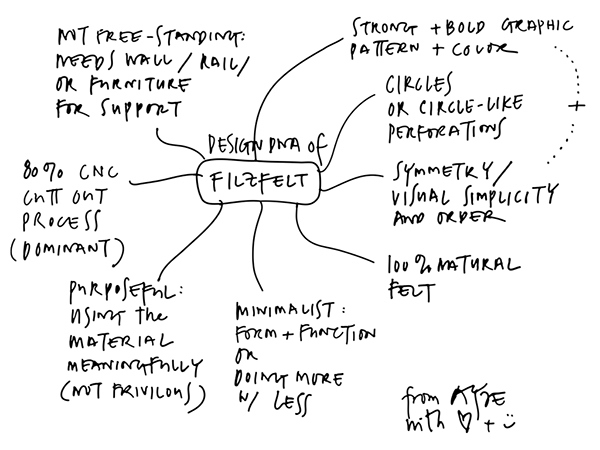 To frame the new collection, we first identified Design DNA of FilzFelt. Building off of the DNA, we developed two families: one based on strips, and the other on circles. 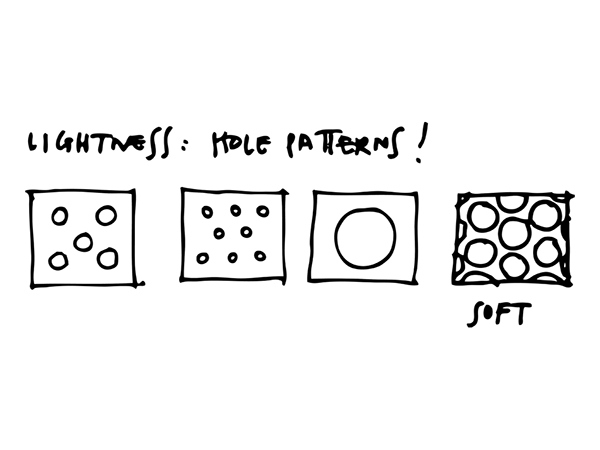 Hole sizes and density defines "lightness"—lightness of material as much as how much light it would let through. 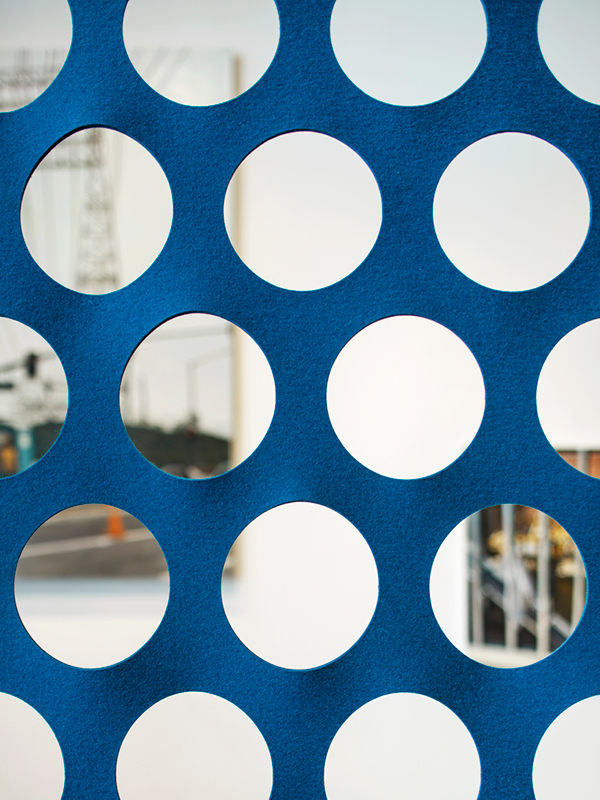 Polka 120 hanging screens help define and separate space with their circle pattern, let light through and add a great dash of color. FilzFelt Drapery Polka 120 Light is a play on positive and negative space. Through the pattern felt takes on qualities of drapery and becomes soft and maleable. It also casts wonderful shadows. 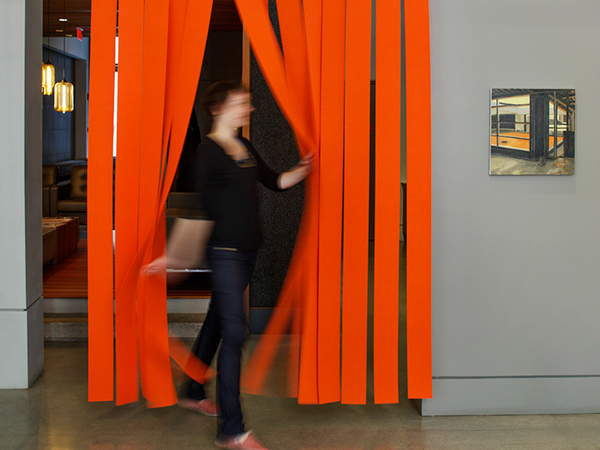 Fringe Hanging Panel is nicknamed Carwash! 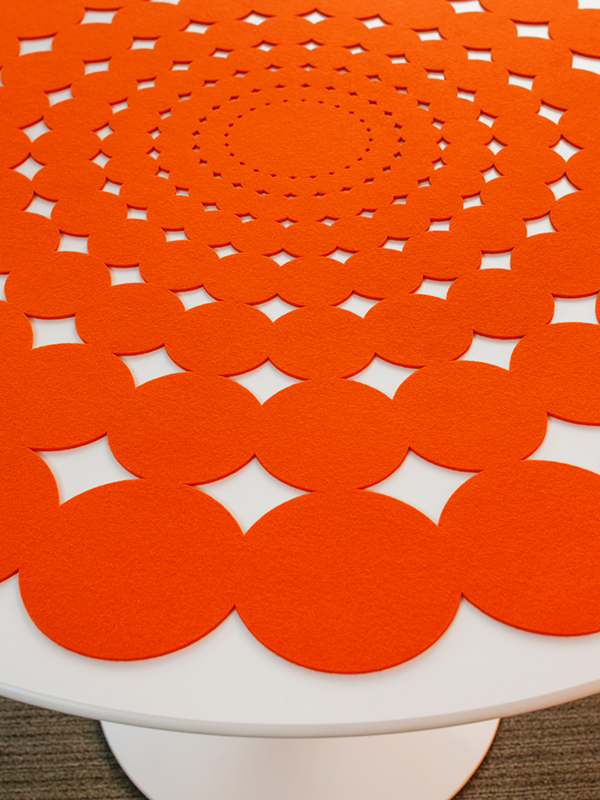 The beautiful felt Doilies are designed for Knoll Saarinen Tables but they can cheer up any round or oval table. They are a cross over between today and the 1950's. 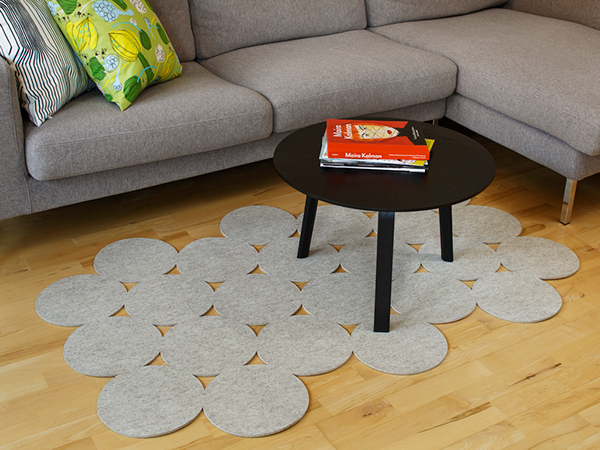 Stamp 5 Floor Mat pushes the circles pattern to its edges. 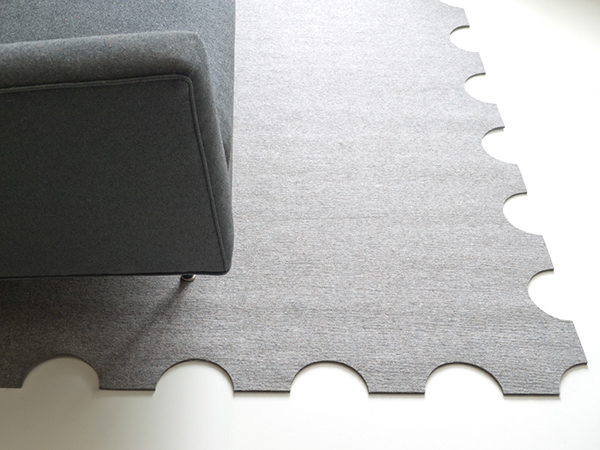 FilzFelt Polka 120 can be used as Screens or as Floor Mats. It also has a 90º sister. 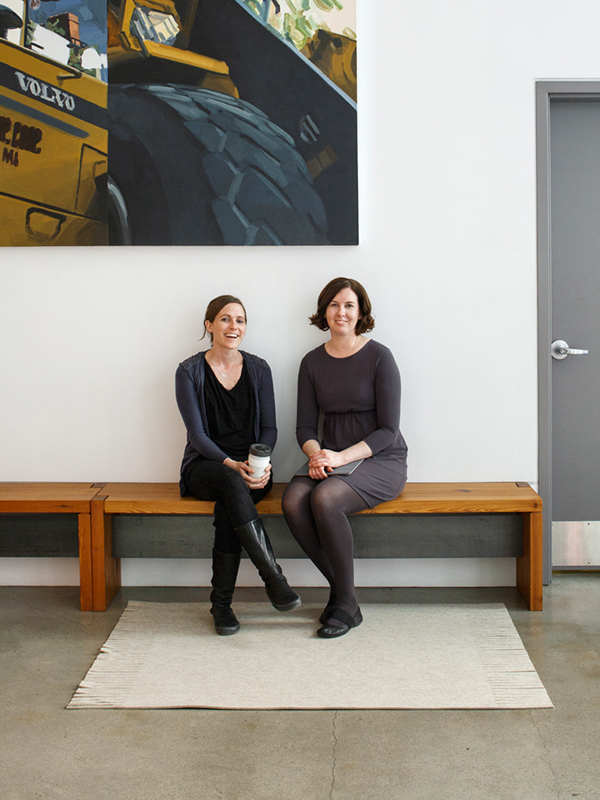 Here the Fringe Floor Mat is at the feet of FilzFelt founders and entrepreneurs Kelly Smith and Traci Roloff. Together we hope you will enjoy the collection as much as we enjoyed bringing it to life. The Ayse Birsel Collection for FilzFelt is a series of ready-made felt goods that range from hanging screens, drapery, table top and floor mats.